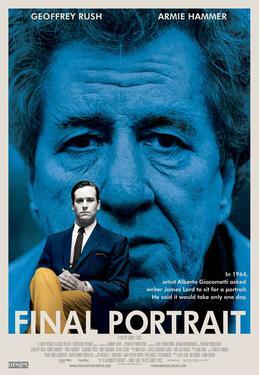 During a short trip to Paris in 1964, American writer and art lover James Lord is asked by his friend, the world-renowned artist Alberto Giacometti, to sit for a portrait. Giacometti assures Lord that the process will take only a few days. Flattered and intrigued, Lord agrees, and so begins a touching and offbeat friendship and the artistic process.